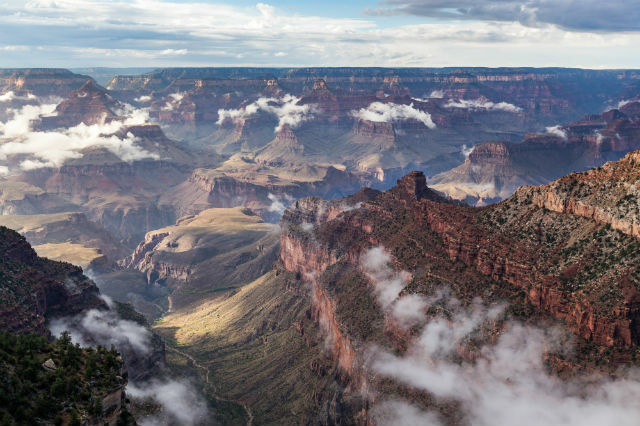 National parks serve as a window into the country's long and storied history. On March 1, 1872, Congress established Yellowstone National Park, the first of what is now a total of 59 national parks spanning 28 states and two American territories. Collectively, they are considered the country’s greatest natural treasures. In addition to being aesthetically beautiful, national parks showcase the storied past of both our country and the land on which it resides. Within each of these parks, there are sites with stories to tell. Here are just a few. The Gateway Arch is one of the country’s most iconic monuments, a tribute to the diverse people who reshaped the country: Thomas Jefferson, who negotiated the Louisiana Purchase, which doubled the size of the United States, Lewis and Clark and their guide Sacagawea, who explored the new land and mapped a route to the Pacific, and the countless pioneers who forged Westward. 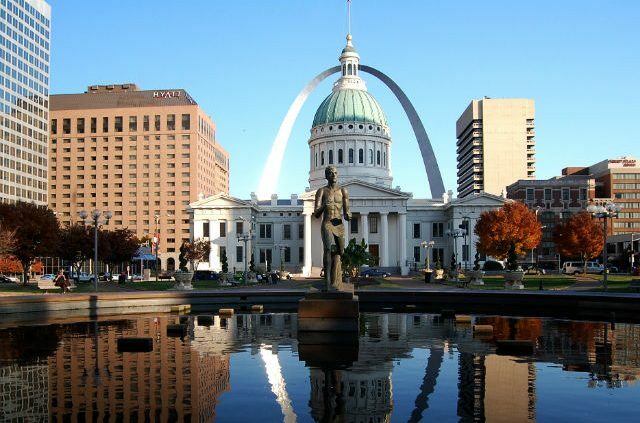 Yet the park in which the Arch resides is home to a lesser-known but equally significant historical site: The Old Courthouse, where one of the most important cases ever tried in the United States was heard. In 1846, Dred Scott, a slave who had spent many years living in free territories, sued for his freedom. The first two trials were held in the Old Courthouse, the latter of which Scott won. This decision was appealed all the way to the Supreme Court, which denied Scott his freedom. Although Scott was defeated, the case is widely credited with hastening the start of the Civil War. Visitors can tour the courthouse where the case was heard, as well as the restored courtrooms. Limited time offer: Save up to $500 on select guided vacations! One of the country’s great outdoorsmen, President Theodore Roosevelt may have had more impact on the national park system than any other citizen. While in office from 1901 to 1909, he established five new national parks, doubling the number of federal parks across the country. It’s only fitting that one of today’s 59 parks bears his name. In the late 1800s, a young Roosevelt headed to the Dakota Territory for a two-week hunting trip. The following year, his mother and wife passed away just hours apart. In search of solitude, the future president returned to Dakota and established the Elkhorn Ranch. In his writings, Roosevelt referred to this location as his “home ranch” and it is believed that it was here where he developed many of his beliefs on the importance of conservation. Because Roosevelt wanted a secluded location, getting to the ranch can be difficult. It takes a several-mile drive on unpaved roads to reach the remote location. And though only the cabin’s foundation stones remain, visitors can appreciate the peace and solace Roosevelt found here. 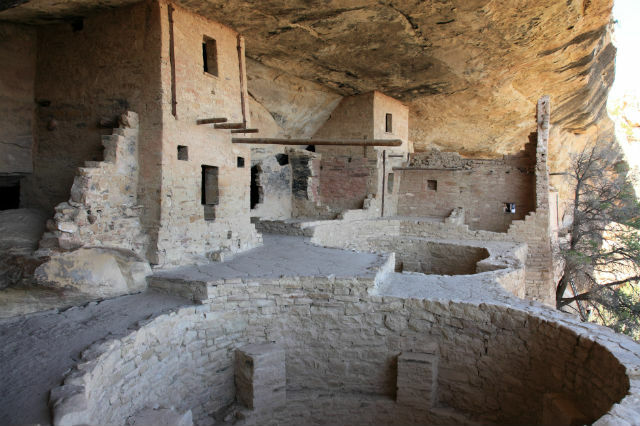 Lest we forget that people lived in North America long before European settlers arrived and the United States was formed, the Cliff Dwellings at Mesa Verde National Park in Colorado are a perfect reminder. After living on the mesa top for 600 years, Ancestral Pueblos began building homes beneath the overhanging cliffs late in the 12th century. The structures ranged in size from one-room storage units to villages of more than 150 rooms. One of the most famous of these pueblos is known as the Balcony House, a 40-room structure considered a medium-size cliff dwelling. The tunnel, passageways and modern 32-foot entrance ladder are what make it the most adventurous dwelling tour in the park. Visitors can see the Balcony House by ranger-guided tours only. People have lived in the area that is now Canyonlands National Park for more than 10,000 years. There may be no better evidence of their presence than Horseshoe Canyon, which contains some of the most significant rock art in North America. The canyon’s best-known panel is called The Great Gallery, a well-preserved site that includes both pictographs (paintings) and petroglyphs (carvings) of life-sized figures with intricate designs. Artifacts recovered from this area date back to 9000-7000 BCE, a time when large mammals like mastodons and mammoths roamed the southwest. However, Horseshoe Canyon has the more recent history of serving as a refuge for outlaws like Butch Cassidy who were on the run from the law. That effort began many years ago at the Lamar Buffalo Ranch. In the 1800s, bison were hunted nearly to extinction. Yellowstone Park was home to just 25 in 1901. In the first effort to preserve a wild species through management, Congress purchased 21 bison from private owners, and they were brought to the Lamar Buffalo Ranch to be fed and bred. As the herd grew, bison were released to breed with free-roaming population or used to start herds on other public land. Today, the Yellowstone population numbers in the thousands, one of the largest in North America. Have you been to any of these historic sites? Tell us in the comments! 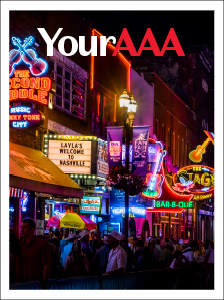 Plan your next national park vacation with AAA Member Choice Vacations.